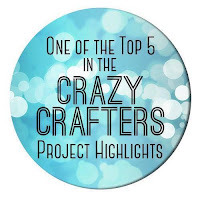 This card is included in the Crazy Crafters Team Highlights. 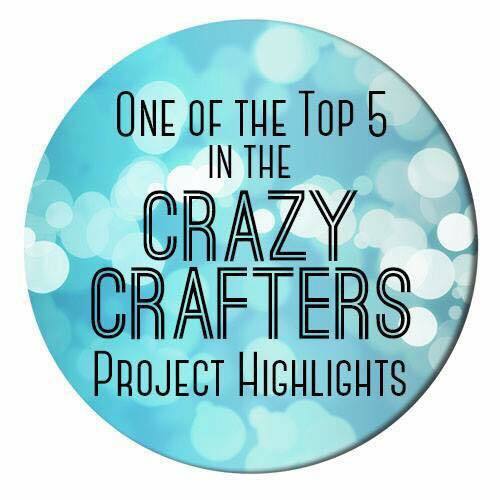 Click here to see all of the great projects and vote for your favourites. This card started out with a yellow and blue brusho background on Thick Whisper White card that I was not very happy with - It looked quite washed out but had lots of speckles. So I adapted it. First, I roughly planned the design and then stamped the bird from the Petal Palette stamp set with Basic Black ink. Avoiding the bird, I then sponged with Pear Pizzazz and Soft Sky inks and sponged the edges of the piece with Night Of Navy and Garden Green inks. Using Garden Green ink, I stamped the foliage from the Petal Palette stamp set - trying to line it up to catch the bird's feet. I then added some shading with more ink and an aquapainter. I used touches of Tempting Turquoise and Smoky Slate inks to colour the bird. 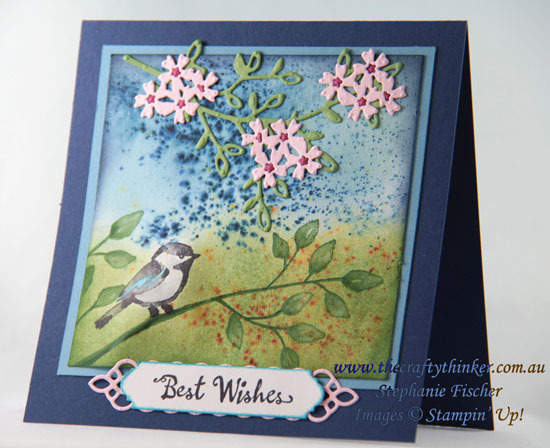 Switching to the dies in the Petal Palette Bundle, I cut foliage from Wild Wasabi card and blossoms from Pink Pirouette. Putting Multi Purpose Adhesive Sheet on the back of the cardstsock before cutting made it very simple to adhere the pieces to the card. I also cut more blossoms from Rose Red cardstock to place the darker centres into the flowers.